I have been requested to make SEVERAL Breast Cancer cards, so get ready to enjoy all the pink in the next few weeks. a REAL card, delivered by the post office! If there can be a best part of having Breast Cancer, this was mine....slitting open what I knew held a handmade card. Someone cared enough to make and send a card to little old me. Try it, put a smile on someones face! 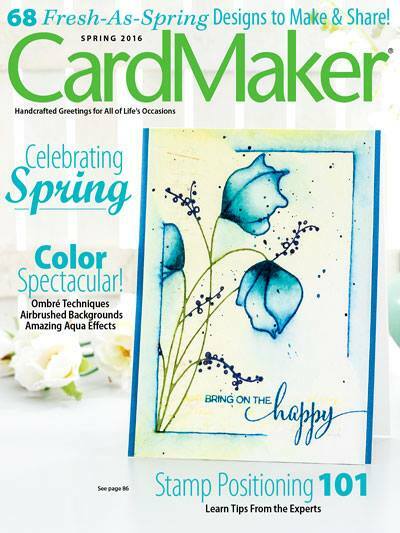 I used a die to emboss the doily on the top left of card. Die cut the circle portion of the Gold Circles One die, stamped the sentiment. 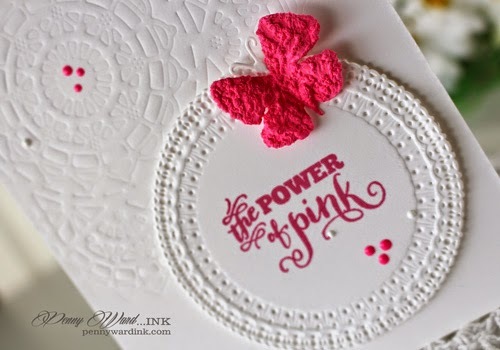 The butterfly has been coated with Imagine Crafts new Neon Pink Amplify!, small dots of Pico Wedding Dress & Neon Pink scattered over the card front. Love the bright pink!! Beautiful card; the embossing adds so much! Beautiful, beautiful and SO WELL DONE!!! 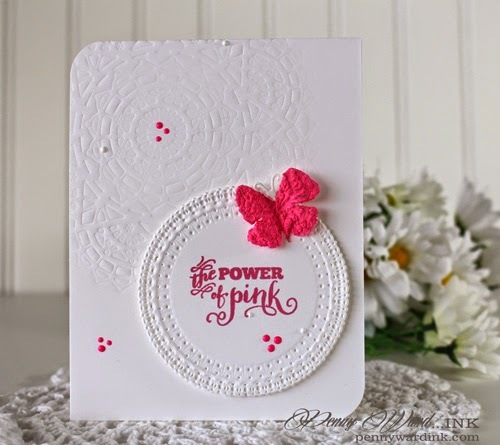 Your butterfly is perfect for this white embossed marvel of a card!! I love the POWER OF PINK!!! !